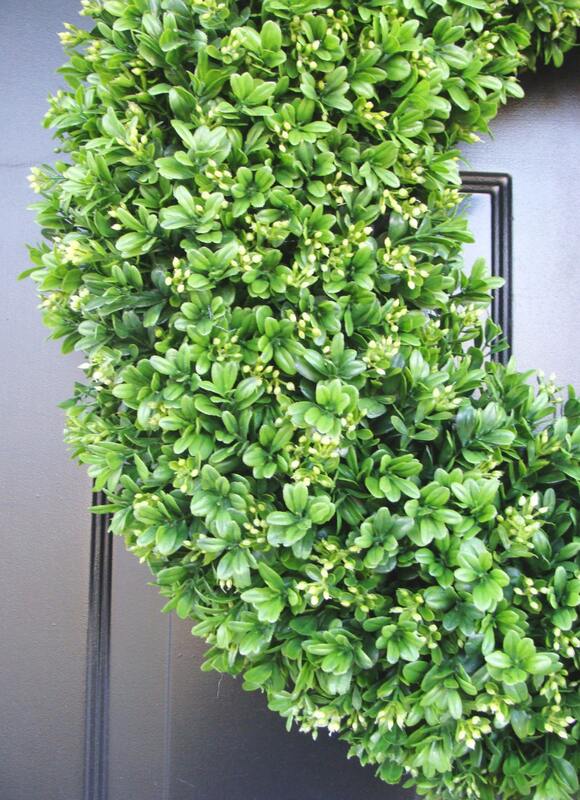 This boxwood wreath shown measures 22 inches in diameter and 5-6 inches deep. It is created on a 18 inch grapevine wreath. 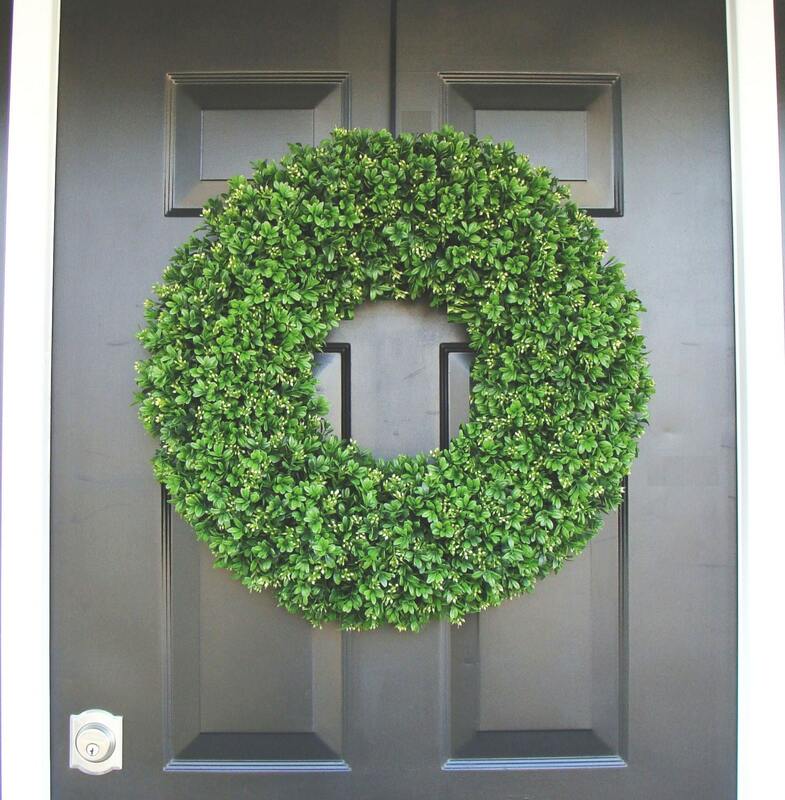 This wreath is very full. Looks great! Full and elegant. No wonder they featured this craftsman in Southern Living. 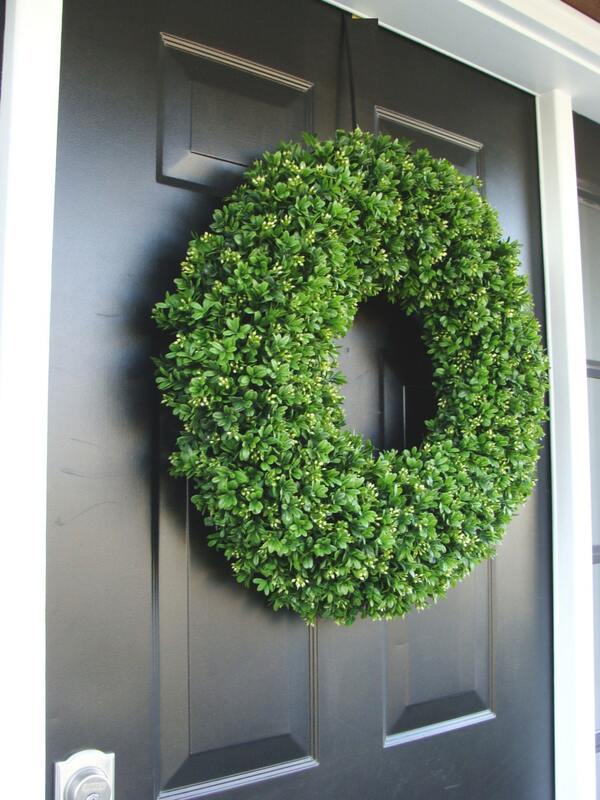 This wreath is worth every penny and then some. It is a beauty. I'm so pleased. 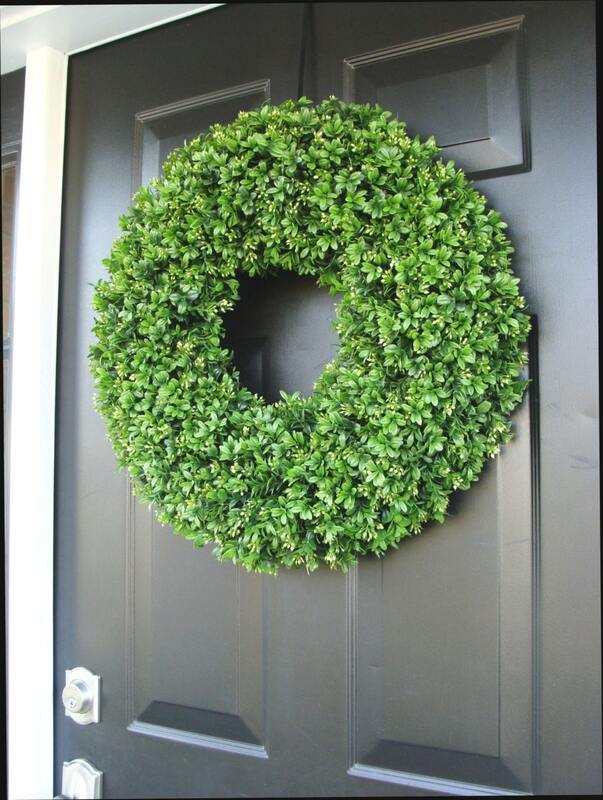 Beautiful, full, high quality, well-made wreath. 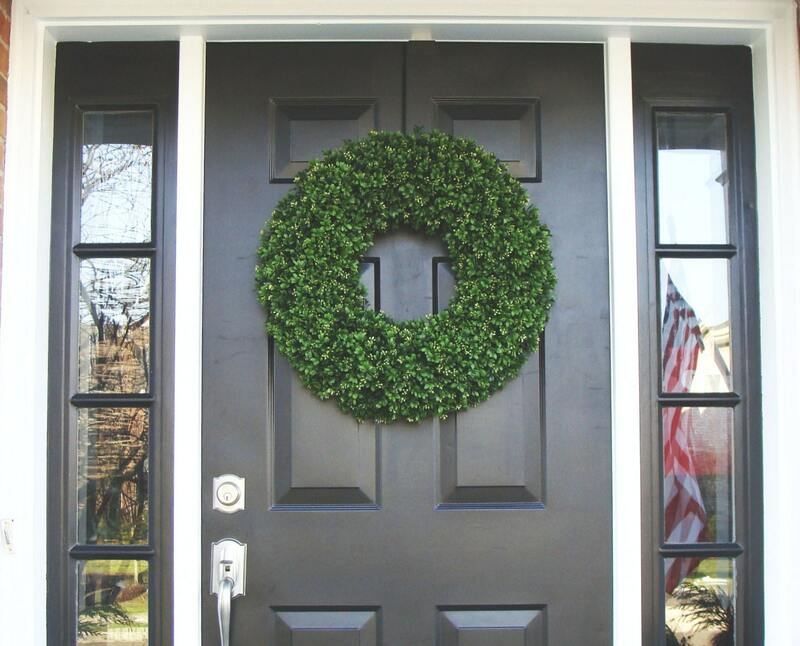 Just be aware that the back of the wreath is vining that can scratch the door. If you ask ahead of time, it can be covered for additional cost. It was PERFECT!!! I love it.